Retirees have less time to recover from bad investment moves than younger workers. If they or their advisers panic and sell during a brief downturn, they may lock in a more meager retirement. But their portfolio could be even more at risk if they hold on too long in a prolonged decline. The US Office of Personnel Management tweeted out sample letters for federal employees to send to their creditors, mortgage companies or landlords. The letters suggest that employees ask to pay a reduced amount or create a payment plan in the coming months because they are out of work and not getting paid during the shutdown. Trump told lawmakers he planned to scrap the 2019 pay bump for federal workers in August, saying the federal budget couldn't support it. In addition to the 2.1% pay increase, the executive order also cancels a yearly adjustment of paychecks based on the region of the country where workers are posted, called the "locality pay increase," that was due to take effect in January. Federal Communications Commission Chairman Ajit Pai called the outage "completely unacceptable" in a statement. He said he spoke to CenturyLink about his concerns and has ordered an investigation. "When an emergency strikes, it's critical that Americans are able to use 911 to reach those who can help," Pai said. Despite what many people assume, central bankers are not driven by a desire for profit. They print their own capital, they hardly need to make a profit. Central bankers are also not driven by a desire to keep the current system afloat. They have demonstrated time and time again their habit of deliberately sabotaging the system through the use of inflationary bubbles followed by fiscal tightening into weak economic conditions. The U.S. economy today is just as expendable as any other economy the banks have destroyed in the past. It is not special. The “food riots” will be a grass-roots movement of the moment born out of hunger and desperation. It will not be dependent upon leaders or an underlying organization, although they could certainly add to the sauce. Existing cell phone technology provides all the organization a flash mob needs. Most of the mobs will consist of minority urban youths, termed MUYs in the rest of this essay. Which minority doesn’t matter; each urban locale will come with its own unique multi-ethnic dynamic. President Nicolas Maduro turned heads in November 2017 when he named a National Guard general with no oil experience to lead PDVSA [PDVSA.UL]. Quevedo's actions since have raised even more doubts that he and the other military brass now running the company have a viable plan to rescue it from crushing debt, an exodus of workers and withering production now at its lowest in almost seven decades. Also, McGee said Friday there had been no explosion. On Thursday night, the New York Police Department had tweeted about a "transformer explosion" at a Con Edison facility. The ice sheet's persistent melting even in winter has come about because huge waves below the surface of the Atlantic Ocean, created by unusually strong winter winds, are pushing warm water up to Greenland—creating an environment that's hostile for the country's icy ecosystem, explains SAMS. In a statement issued on Friday during a partial government shutdown, the EPA said the emission standards of the MATS rule would remain in place. But it proposed to withdraw the justification for the requirements. "EPA is proposing that it is not 'appropriate and necessary' to regulate HAP emissions from coal- and oil-fired power plants . . . because the costs of such regulation grossly outweigh the quantified HAP benefits," it said. Constant, of Chillicothe, Missouri, and three others have pleaded guilty and are awaiting sentencing. Constant, who owned an Iowa grain brokerage, acknowledged that he sold $142 million worth of corn, soybeans and wheat over a 7 ½ year period that wasn't organic despite his representations. Protesters are also disabling, masking and vandalizing revenue-raising red light and speeding cameras and radars in France, and elsewhere. TPTB aren’t publicizing this, probably out of fear it will spread even more than it already is. SP note: There are a number of very important issues where I see things differently from Nafeez Ahmed. It looks to me like he is talking to the oligarchy sympathetically, letting them know what they must do to maintain their systems of centralized power. But he attributes the deterioration of European social systems to the availability of net energy, a conclusion that earns him a footnote in the Crash Course. The turning point has arrived, and without that global cheap energy source in abundant supply, we cannot continue growing, no matter what we do. Something has to give. Our economies need to be fundamentally, structurally, transformed. We need to transition to a new, clean, renewable energy system on which to base our economies. We need to transform the way money is created, so that it’s not linked to the systematic generation of debt. Europe is now a ‘post-peak oil’ continent. Currently, every single major oil producer in Western Europe is in decline. ... Western European oil production peaked between 1996 and 2002. Since then, production had declined while net imports have gradually increased. Not everyone agrees that a steep decline in Russia’s oil production is imminent. Last year, the Oxford Institute for Energy Studies argued that Russian production could probably continue to grow out to at least 2020. How long it would last thereafter was unclear. On the other hand, the Russian government’s own energy experts are worried. In September 2018, Russia’s energy minister Alexander Novak warned that Russia’s oil production might peak within three years …. It’s not that the oil is running out. The oil is there in abundance — more than enough to fry the planet several times over. The challenge is that we are relying less on cheap crude oil and more on expensive, dirtier and unconventional fossil fuels[--high EROI oil]. The bottom line is that as Europe’s domestic oil supplies slowly dwindle, there is no meaningful strategy to wean ourselves off abject dependence on Russia[n oil]; the post-carbon transition is consistently too little, too late; and the impact on Europe’s economies — if business-as-usual continues — will continue to unravel the politics of the union. While very few are talking about Europe’s slow-burn energy crisis, the reality is that as Europe’s own fossil fuel resources are inexorably declining, and as producers continue to face oil price volatility amidst persistently higher costs of production, Europe’s economy will suffer. UN’s Sustainability Report…. underscored that cheap energy flows are the lifeblood of economic growth: and that as we shift into an era of declining resource quality, we are likely to continue seeing slow, weak if not declining economic growth. … Macron’s response to the climate crisis was to protect fossil fuel and nuclear producers while hiking up fuel taxes. He didn’t want to tackle the horrendous supply chains of big French corporations. He didn’t want to penalize the powerful oil, gas and nuclear lobbies that he hopes might help him get re-elected, and did next to nothing to speed a viable post-carbon transition that might transform economic prosperity on more sustainable foundations. And so by placing the burden almost exclusively on French workers and consumers, Macron triggered the spiral of rage and riots. ... Protestors blame Macron. The French state cracks down on violence. Politics becomes militarized, while skepticism of the liberal incumbency across the political spectrum finds vindication. France’s riots therefore did not come out of the blue. They are part and parcel of a wider process of slow-burn EROI decline in which the returns to society from economic activity are being increasingly constrained by the higher energetic costs. ... the reality is that as Europe’s own fossil fuel resources are inexorably declining ... Europe’s economy will suffer. Australia has the answer: gigatons of coal! All you can possibly need and want! Taxpayer-subsidised! We can easily and all by ourselves fuel the economic bonfires until technology saves us yet again! Burn and rejoice! Wait a little while and back up pops the article. Must have been Russian hackers up to their nefarious deeds. "Thousands of New York’s 37,000-officer police force, including hundreds of rookies sworn in Friday, will flood the area. No one will be more than 10 feet away from a uniformed or undercover plain clothes officer, O’Neill said. Participants in the celebration will be cordoned off in sections, or pens, in an area from 37th Street to 59th Street and between Sixth and Eighth Avenues. 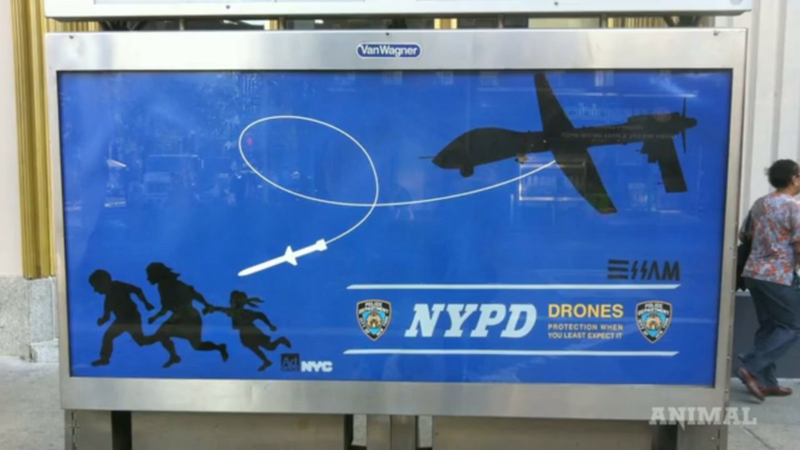 In addition to the flying cameras, police will also set up 235 vehicles to block areas where revelers gather in Times Square, while 50 canine teams will be present to sniff out explosives. Officers will also install more than 200 cement blocks in addition to metal bollards that already exist, according to the station. Entry to the party starts at 11 a.m. and the square closes at 4 a.m. As usual, no backpacks, coolers, umbrellas or alcohol are allowed." How anyone could possibly find such a scenario enjoyable entertainment is beyond me.